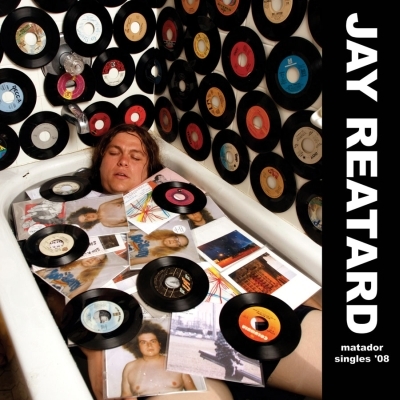 My niece is almost 4 and loves Jay Reatard, because she likes to dance to it and she thinks it's especially silly that he's laying in a bathtub on the cover of the record (http://penumbrae.files.wordpress.com/2008/12/ole-822-matador-singles-081.jpg). She also loves "It's 5!" by Architecture in Helsinki, "Beach Party" by Air France, "Frontier Psychologist" by The Avalanches ("You're crazy in the coconut" is her new go-to phrase), and she also likes Passion Pit a lot. She loves to dance, what can I say? quasarwutwut wrote: We too have been experiencing the joy of Muppets S1-3. A huge kick for me and my wife, and my kid really loves it. Does it get better as it goes on? I just picked up Season One, and we turned it off about 20 minutes into the first episode because we were all bored stiff. What season featured Alice Cooper? By the way, the latest (arguably) non-kids song my kid loves is "Henry VIII" by Herman's Hermits. If anything, we're hoping it teaches him to spell his name. Jake wrote: Does it get better as it goes on? I just picked up Season One, and we turned it off about 20 minutes into the first episode because we were all bored stiff. What season featured Alice Cooper? Agreed. We just found out the same thing. I remembered it being much more entertaining than what that season demonstrated, but I'm too gun shy to buy any more seasons now. Definitely the best. But Jake you're right about it being dopey and slow. I guess I should have clarified that: my kid realllllly likes the muppets themselves, but he gets bored with about 1/2 of each episode. My wife and I enjoy the kitsch aspect, and for whatever reason the insanely terrible puns and old vaudeville jokes completely entertain me. I mean, it's TERRIBLE (think "Veterinarian's Hospital" with Rolf and Piggy and Janice where it's nothing but one bad one-liner after another), but it was clearly designed that way, which I don't remember being the case. I guess you have to be in the right mood, but a lot of it Is pretty bad. Don't buy anymore; we'll let you borrow ours. Funny this is brought up about the Muppet Show. A few months ago the kids discovered a VHS tape I had that was a best of with episodes featuring: Mark Hamill(as Luke Skywalker and including Star Wars characters), Paul Simon, and Racquel Welch. Oh my god that tape is ALWAYS on. Our 3 yr old loves loves loves it. Especially the Star Wars skits. She thinks they're hilarious-plus her brother is a Star Wars geek so she associates that episode with him.The plus side out of this is she thinks the Paul Simon song "loves me like a rock" is so awesome I had to borrow a greatest hits from the library and rip it for her. She loves that song! Lately however I have discovered she will dance hard to Love Story by Taylor Swift( I want again mommy, again again) and I caught her rocking out to a 38 special song on the radio, telling me to turn it up. She really loves music in general. Ok this thing was being weird for me so I couldn't finish last message. About the Muppet show-yeah after realizing the kids loved the episodes we had I went to library to get the first season. Holy CRAP was it boring!! I LOVED LOVED this show as a kid! The guest stars though were soo...umm old and not exciting? There I said it. It must get better a couple seasons in huh? Both of my kids developed a love of Jonathan Richman and the Ramones pretty early on, and both still love them. I was a proud pop when my 5 yr old heard Revolution rock by The Clash, and said I love this, play it again. The latest is "Moab" by Conor Oberst. He loves to shout the "NOTHIN' the road cannot HEAL" chorus. I attempted to get him on video, but of course he won't do it right once the camera comes out.